But before you start cooking the best food you've ever had, let's go over some of the most important things you need to know about seasoning, cleaning, and maintaining your cast iron cookware. The hard, black layer that gives cast iron its shiny finish is called the seasoning, or patina. As food scientist Harold McGee explains in On Food and Cooking, the patina is formed by the oxidization of fats, which causes them to "bond to each other...to form a dense, hard, dry layer." The metal is super porous, so the fats fill in the pores and seal the surface. The seasoning prevents the pan from rusting and makes it nonstick. You definitely don't want to try using cast iron without seasoning—the porous surface makes it very sticky. Even if a pan says it's pre-seasoned, you'll get a better, longer lasting patina if you season it again yourself. You can technically use almost any oil to season your cast iron cookware. Bacon grease and coconut oil both work perfectly fine, but some oils result in a better patina than others. Sheryl Canter researched the chemistry behind seasoning cast iron and found that flaxseed oil provides the best possible nonstick surface. 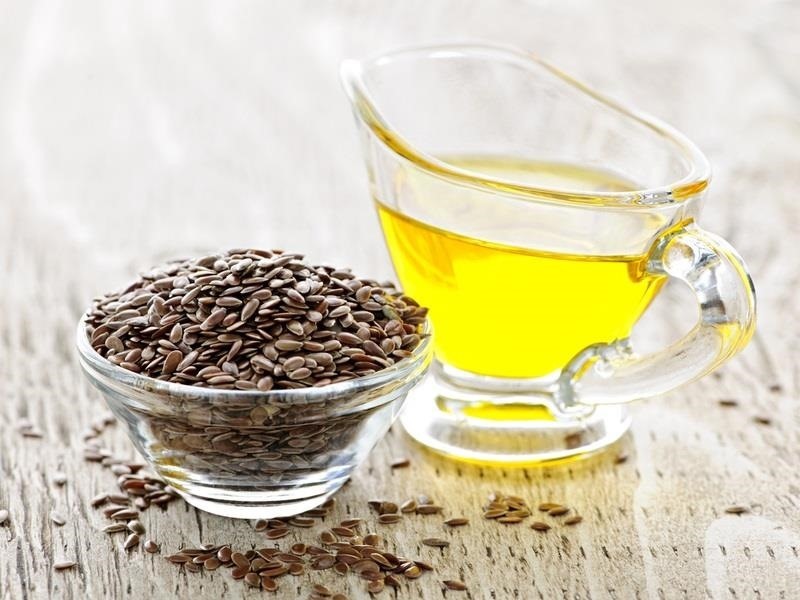 As Canter explains, flaxseed oil is a drying oil, which means that it can form a hard film through polymerization. Drying oils maximize the polymerization of the fats, and flaxseed oil is the only edible drying oil, so it creates the best patina. The downside to flaxseed oil is that it's expensive and can be difficult to find if you don't live near a health store. If you can't find it or don't want to spend that much, the next best thing to use is vegetable oil or shortening. The process of seasoning cast iron cookware consists of coating it with oil, heating it in the oven, letting it cool, and repeating. It's up to you how many times you repeat, but the more you do it, the better your patina will turn out. Each time, the layer of oil gets a little thicker and a little shinier. It's important to use a very light coat of oil. Seasoning a pan with too much oil will cause it to be sticky, and then you'll just have to start over. Place the pan upside down on the center rack in your oven with a baking sheet or foil underneath to catch any drippings. Canter suggests cycles of one hour in the oven and two hours to cool. If you follow her method, make sure you have plenty of time—she puts her pans through a total of six cycles. But, if you don't feel like spending all day on it, you can get away with just one or two. Even if you take perfect care of your cast iron, it will probably need to be re-seasoned at some point or another. When the seasoning starts to look dull (or someone accidentally runs it through the dishwasher), just wash it with warm, soapy water and a brush and repeat the seasoning process. If your pan is rusty, you'll need to remove the rust first. You can use steel wool, let it soak in white vinegar and water, or even scrub it with kosher salt and a potato. Once the rust is gone, you can re-season the pan. Cast iron is incredibly durable, but the seasoning is much more delicate than the metal itself. In order to protect it, you have to be careful about how you wash it. You should never, ever put it in the dishwasher, and try to avoid using soap. 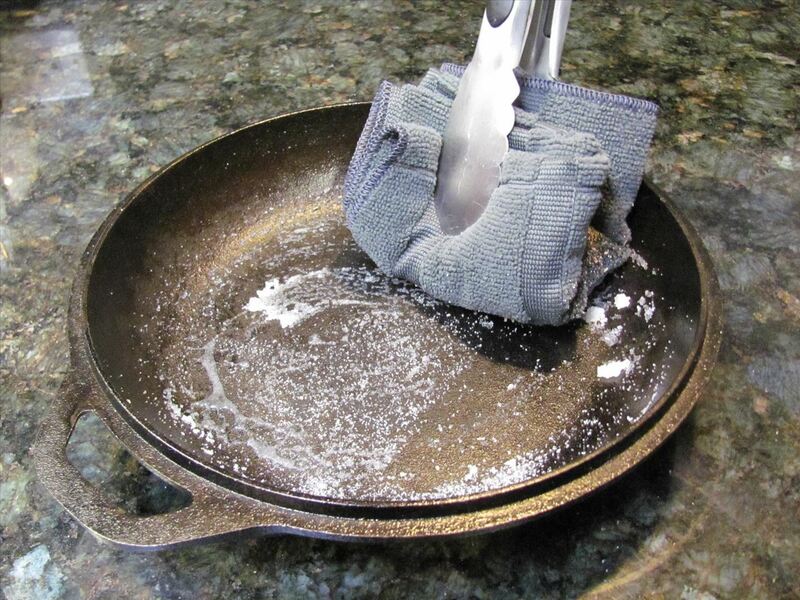 If your pan is very well seasoned, a little bit of mild soap won't ruin it, but it could still damage the patina. Avoid using steel wool or other abrasive cleaners (unless you plan on re-seasoning). 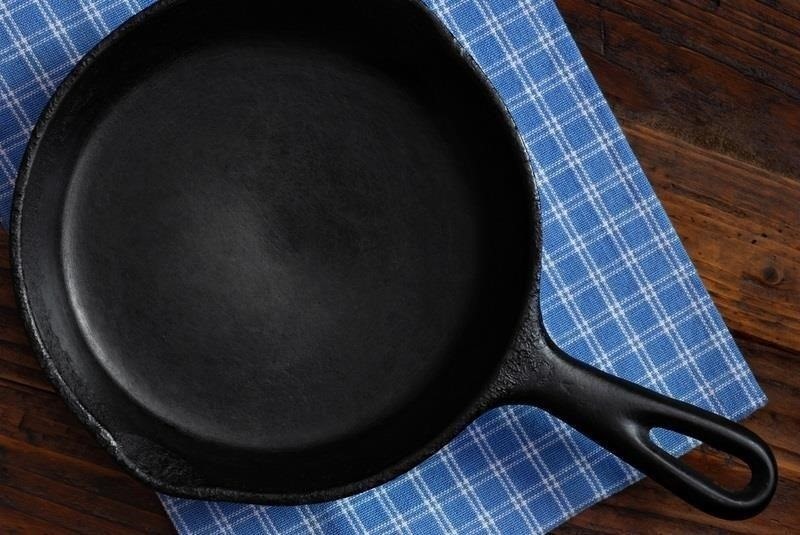 Cast iron should never be soaked in water, and should always be dried thoroughly before storing to prevent rusting. After spending a few hours in the kitchen, it's tempting to just leave the dishes to wash tomorrow morning, but that's the worst thing you can do with cast iron. Once you let it sit overnight, the food dries onto the pan and is much harder to remove. 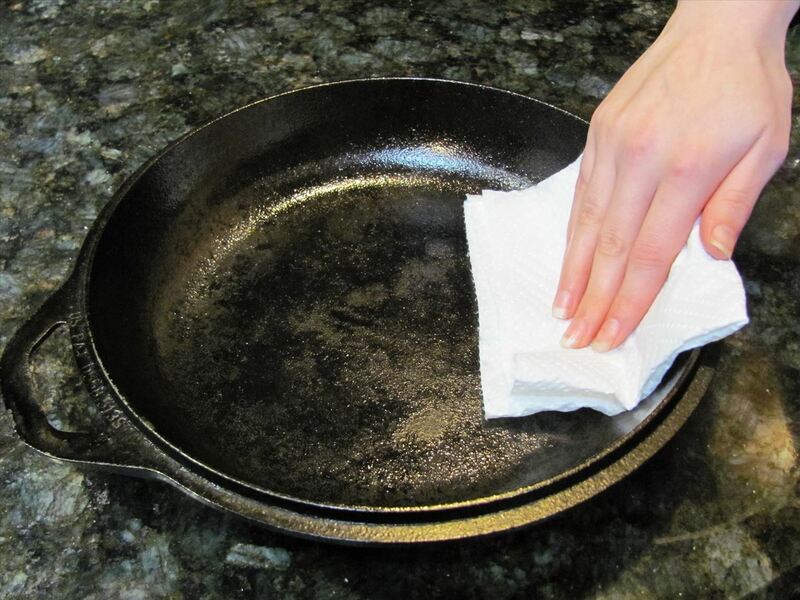 If you clean your cast iron while it's still warm from cooking, a quick wipe with a cloth or paper towel may be all you need. For food that's stuck or burnt on, you can boil some water in the pan to loosen it. You can also use a stiff brush if the bristles aren't metal. When you need to use some elbow grease, the best tool for the job is coarse kosher salt. Sprinkle some salt into the pan while it's still warm and add a splash of water to make a paste, then scrub with a cloth or brush to remove stuck-on food. Once you've washed and dried your cookware, it's a good idea to apply a very thin layer of oil with a cloth or paper towel before you put it away. 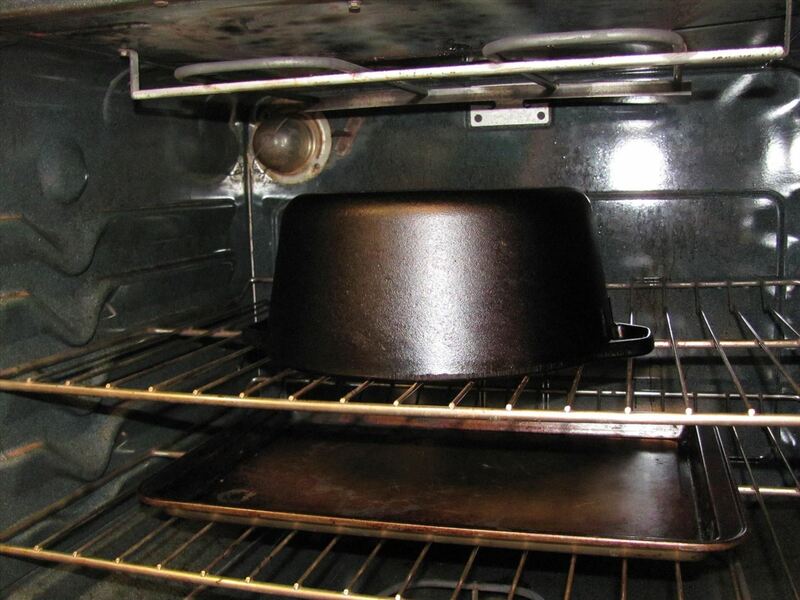 This helps to protect the metal and maintain the nonstick surface. To keep it dry and rust-free, line it with a paper towel prior to storing. Foods with high acid content can damage the seasoning on your pans if used frequently. I occasionally cook something with tomatoes or red wine in my cast iron dutch oven, but some people would argue that even occasionally is too much. 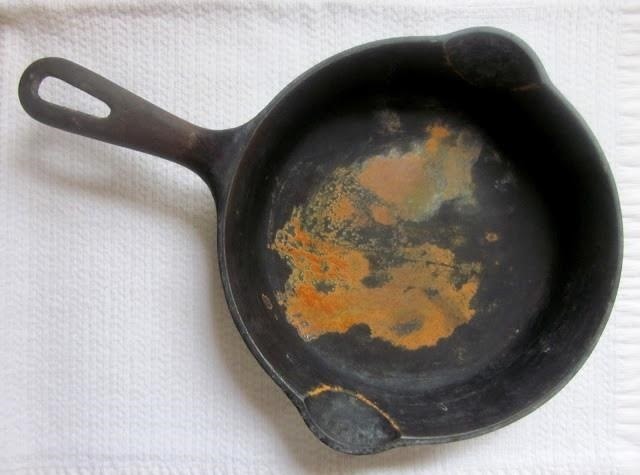 In addition to damaging the pans, acidic ingredients can taste metallic when cooked in cast iron. Everything you cook in your pans absorbs a little iron from the cooking surface, and the reaction with the acid can affect the taste of the food. Don't be discouraged if food sticks to your cast iron the first few times you use it. If properly taken care of, the seasoning will only get better with time. The best thing you can do for your pan's finish is to cook with it as often as possible. Eventually, you may not even need to use oil anymore. Do you have any tips and tricks for cast iron that aren't on the list? Share them with us in the comments. Food guru Alton Brown recommends doing step 3in a gas grille (if you have one... to avoid smoking or smelling up the house. I pour a generous amount of olive oil in the pan and heat it to 325 degrees on my outside burner. Take it off and let cool completely. Repeat 4 or 5 time. Olive oil does not ransom like other oils especially vegetable . Fahrenheits right? I'm Canadian, sorry for the dumb question! Nice article but it never says how hot the oven should be when seasoning. How is it that heating the cast iron in an oven to, say, 500 degrees both adds and removes seasoning? It's a matter of time. If you have it in the oven at 500 for an hour, it adheres the oils to the metal (correct me if my science is off). But if you leave it for 3 or 4 hours, it strips the oils off. I recently completely redid the seasoning on mine, and stripped it all off by leaving it in the oven on the Clean setting. If i am doing several seasoning cycles in one day, how long do I let it cool in between cycles? I am re-seasoning a pan that I use everyday.